A scrumptious blend of wholegrain oats and malted barley sweetened with organic rice syrup and nothing else. The perfect start to a delicious vegan breakfast. 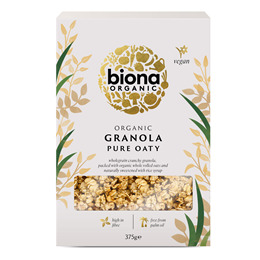 Biona`s granola is lovingly baked into golden clusters to make your morning special. Whole Rolled Oats* (65%), Rice Syrup* (29%), Palm Fat*, Crispy Rice* (Rice*, Malted Barley*, Sea Salt) (from sustainable source). 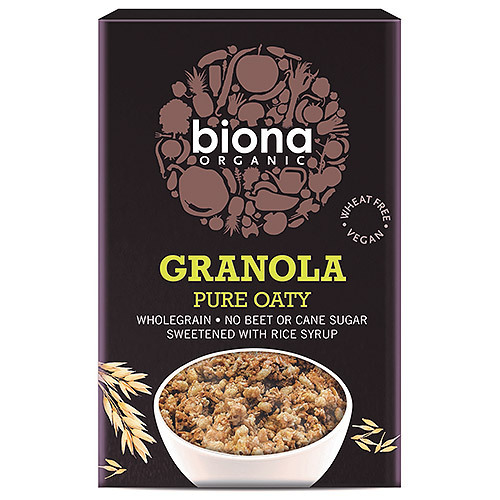 Below are reviews of Biona Organic Granola - Pure Oaty - 375g by bodykind customers. If you have tried this product we'd love to hear what you think so please leave a review. Been using combudoron lotion for the past five years as its the best lotion on the market for bites or stings.